Description: Admiral Farragut Academy’s 80-year old facility was experiencing system-wide plumbing failures in the hot and cold potable lines. TDT completely restored the water supply mains, risers and branch lines for the atrium style, 90-room facility while allowing the academy to conduct operations as usual. 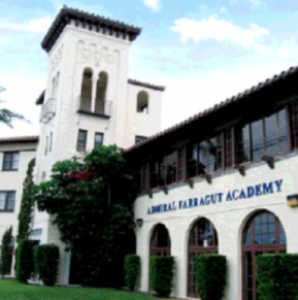 Admiral Farragut Academy is the only Honor Naval Academy in the United States. Founded in 1945, the Academy is a co- educational, boarding and day college-preparatory military school with full Naval Junior ROTC status in grades 9-12 and military exposure in grades 6-8. The 80-year old facility was experiencing system-wide plumbing failures in the hot and cold potable lines. Pinhole leaks, low water pressure and discolored water were all rampant. The academy required repairs to occur during operations so cadet safety was a high priority. As added safety, all contractors and their staff (including TDT Plumbing) required Level 2 security clearance including background checks and fingerprinting. The project consisted of the complete restoration of the water supply mains, risers and branch lines for the atrium style, 90-room facility. The project took approximately four months to complete. Using ACE DuraFlo®’s ePIPE, the academy was fully functional and completely safe throughout the process. â€œWe are extremely pleased with TDT Plumbing’s workmanship and the speed with which they completed the job,â€ Pike said. â€œOur plumbing works great and we won’t be worrying about leaks anymore!